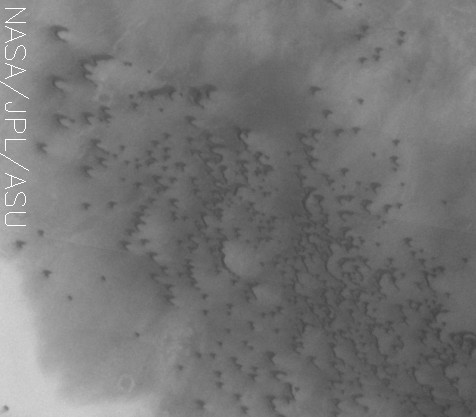 Originally released as an Art image (a flock of birds flying to the west), this image contains numerous small craters. In areas with limited sand supply, individual dunes will form. In regions with abundant sand, continuous dunes or sand sheets will be formed.